Despite the more critical film music fans' suggestion that Harry Potter and the Philosopher's Stone (just why did they change it to Sorcerer's Stone? Do they think American audiences are that dumb? - no comment) wasn't very original, the ubiquitous Hedwig's Theme has happily entered into public consciousness just like Williams' themes for Star Wars, ET and Indiana Jones have done. I'm sure the level of exposure helps, but Williams' theme captures the spirit of Potter's world and stories as expertly as any of his other themes. For part two, Williams didn't have quite enough time to write the entire score and so William Ross was brought in to adapt Williams' music for the remaining scenes. Listening to the album, which presumably contains most, if not all, of Williams' work, it's fairly difficult to tell who did what. I would suggest that anything that's just an arrangement of the old themes is Ross and anything with new material is original Williams. There are, of course, a couple of new themes, although neither is hugely special. The most important new melody is for Fawkes the Phoenix who gets a sweeping, lilting melody that sounds a fraction like imitation John Williams even though I'm sure it's the real thing. It's just a bit simplistic and harmonically uninteresting, even though it is admittedly quite lovely. Kenneth Branagh's Gilderoy Lockhart seems to have escaped from the scene in The Last Crusade where Indy throws someone out of an airship window for lack of a ticket. Just a bit too similar to a past effort I feel. The score is almost what you'd expect, there is a light comedic flavour for Dobby the House Elf (this year's Jar Jar Binks CGI hate figure), a bit of mystery for the Chamber itself which gets quite thunderous in the second track and of course some action. The Spiders and Dueling the Basilisk are the highlights, both reaching speaker shattering proportions with choir and orchestra seemingly fighting for supremacy. This is not subtle stuff. Harry's Wondrous World this time closes the score, with a slightly amended, more bombastic finale. Given George Lucas' placing of some of the Phantom Menace cues in Attack of the Clones and some adaptation from the original Harry Potter here, one does get the impression that Williams isn't perhaps as interested in fantasy as he once was. He certainly plays safe with Potter and while Attack of the Clones wasn't exactly cutting edge, it certainly had more invention than is displayed here. 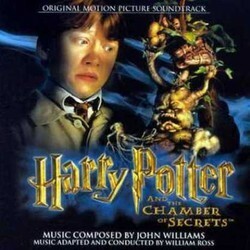 Taken on its own terms, Chamber of Secrets is just as enjoyable as the Philosopher's Stone given the greater variety of themes, but suffers from lack of novelty and too much re-hashing, although the way it was written probably didn't help. If you enjoyed the first, here's more of the same. In Harry Potter and the Chamber of Secrets, the second film, and book, about the young British wizard, things get considerably darker and scarier. This is of course reflected in John Williams' score, like its predecessor filled with magic, adventure and wonder, but richer on action and suspense cues. First, let's make it clear that although Williams' collaborated with William Ross on this score, all music is written by the former. William Ross's task in the production of this score was not to write additional music, but to adapt Williams' themes from the first film, and to conduct the score. 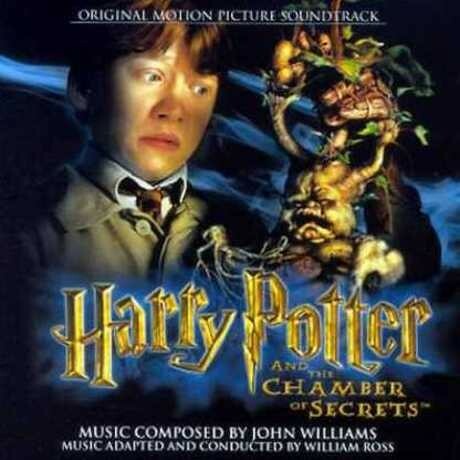 It is no surprise that many of the themes from the previous score shows up in The Chamber of Secrets as well. There's the sweeping and lyrical theme for Harry, heard in full glory in the end credits suite, "Harry's Wondrous World". 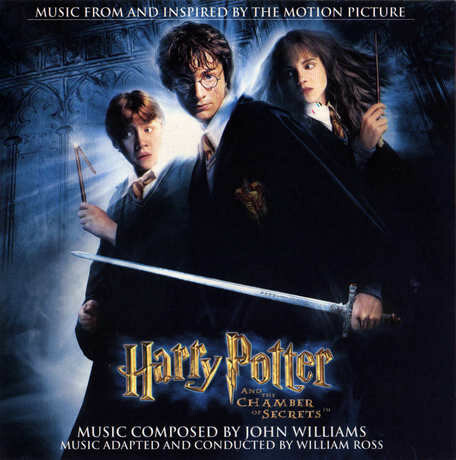 The grand theme for Hogwarts shows up in a couple of cues, as well, as does the already classic celesta dominated little ditty that Williams usually refers to as Hedwig's Theme, although it really isn't used to represent Hedwig at all. 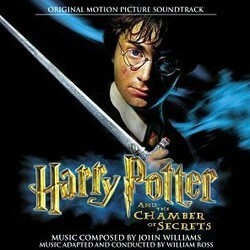 And Voldemort's omnious theme, or motif, returns in "Meeting Tom Riddle". When it comes to new themes there's one memorable and sweeping theme for Fawkes the Phoenix - Dumbledore's bird - used in "Fawkes the Phoenix" (a fuller, more developed and concert hall friendly version of the theme) and "Fawkes is Reborn". Gilderoy Lockhart, masterfully portraid by Kenneth Brannagh in the film, is associated with one of those typical sherzo-sounding marches that Williams does so well (although a little too often, perhaps), complete with whimsy harpsichord, low bouncy strings, woodwinds and muted brass. Not that original, perhaps, but entertaining, none the less. Other themes that make appearances are the ones for Dobby the house elf and Moaning Myrtle, although they are not that memorable. With a running time of just over 70 minutes the CD hosts a fairly large number of memorable cues. 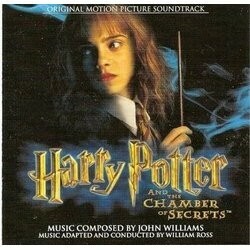 Apart from the tracks already mentioned above, "The Chamber of Secrets" is one of the highlights, and a personal favorite, with its strong, adventurous brass and fast strings. "The Spiders" is also an excellent and busy action cue with creepy strings and muted brass. Classic Williams. 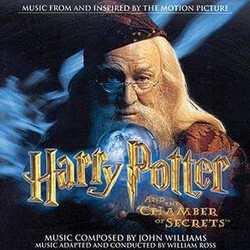 Overall, Harry Potter and the Chamber of Secrets is an excellent score, both on CD and in the film, even though it generally isn't as good as the Philosopher's Stone score.